I have a 2005 Accord coupe. I want to install LED lights inside my car. It should work exactly like the dome light - Switch ON when doors are unlocked; door is open; and switch OFF as soon as the doors are closed (in a dimmer fashion); car is started. I hope you understood what I am talking about. Please tell me which is the best place to tap the wire? I want the wiring to be really neat. I have heard of these two options. 1. Tap dome lights: Issue is, its hard to run the wire neatly. 2. Tap keysense terminal of ignition. Both of them are -ve terminals and I have no idea whats the color of the wire that I should tap. Please correct me if I am wrong. I tried to search for some DIYs but none of them were for 2003-2007 Accords. I am not an expert so please help me in detail. 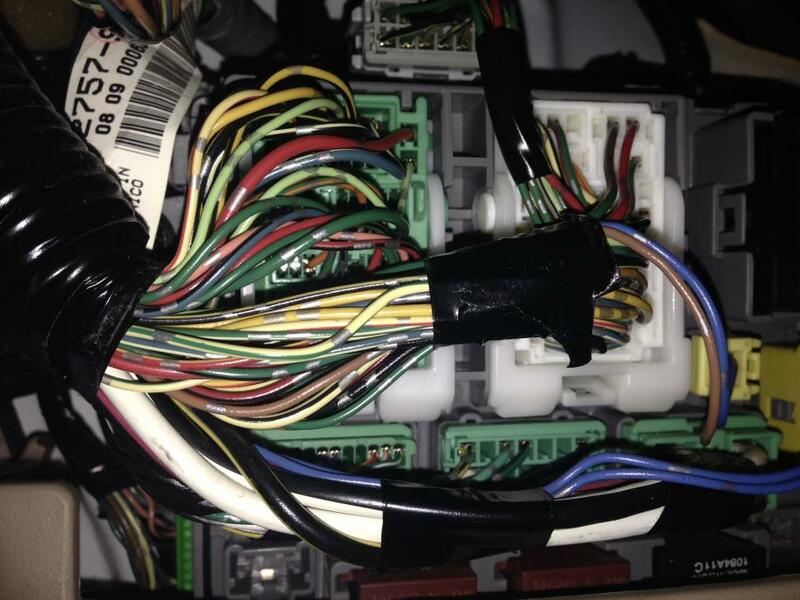 The dome light is negative trigger from the door switches, each door switch wire run to the Multiplex Integrated Control Unit (MICU) located in the under-dash fuse/relay box. If you connect the ground source wire from your LEDs to the wire from the MICU, it will trigger the your LEDs to come on when a door is open and shut off with the doors closed after a brief period. 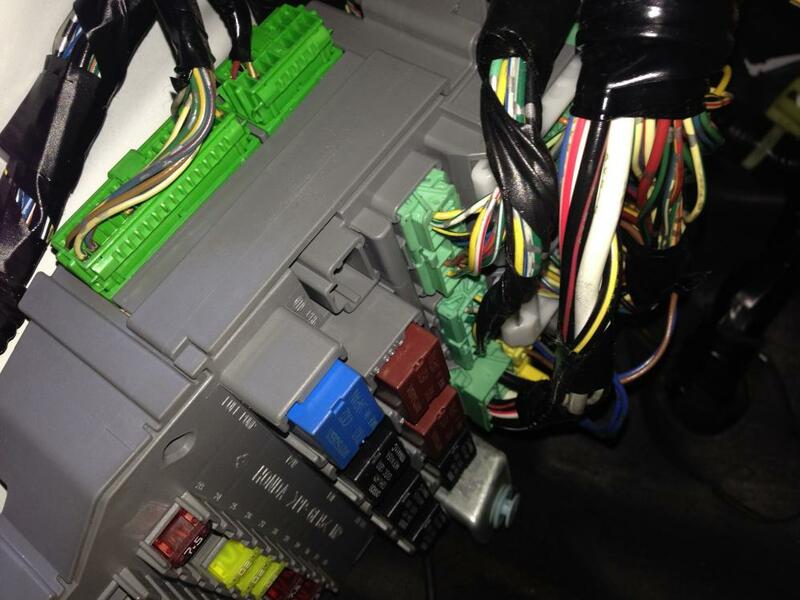 There is a 5-pin Lt Grn harness connector that plugs into the upper back of the under-dash fuse/relay box. It is the Grn/Red wire (which is a wire with green colored insulation and a red stripe running through it) that supplies the ground to the ceiling light. 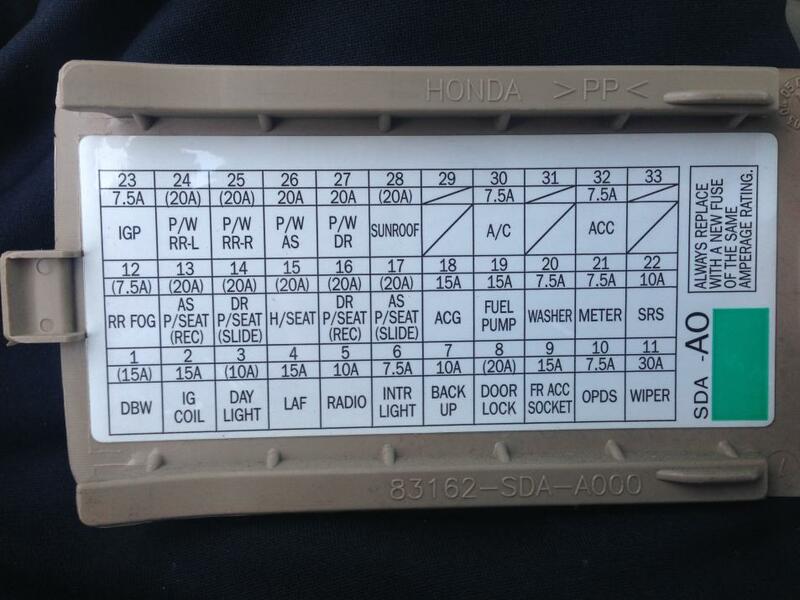 You may have to remove the kick panel to find it. 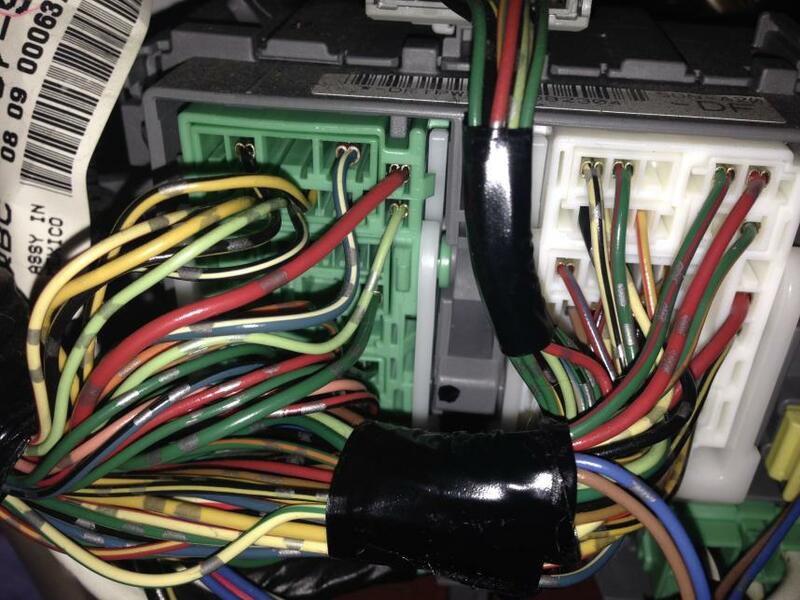 You may want to post some clear pictures of the under-dash fuse/relay box and wire connectors. 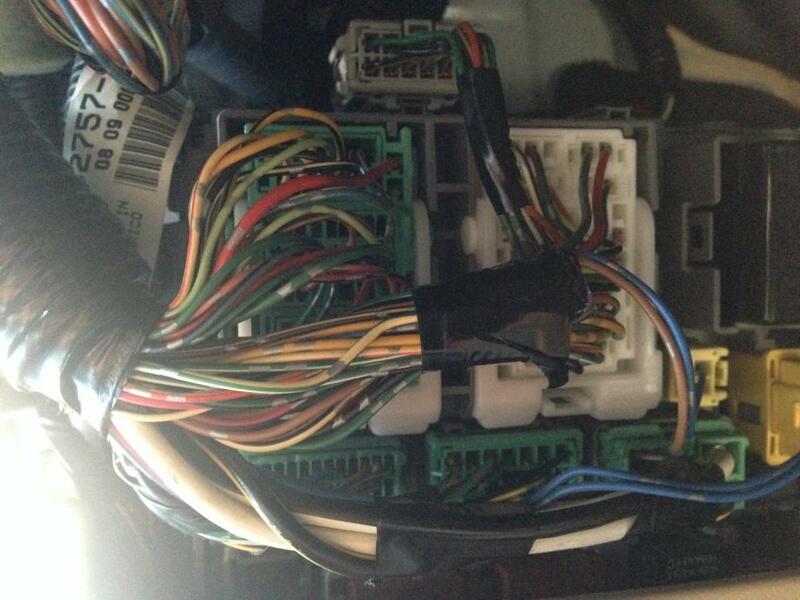 I have few pics already taken of the driver side under-dash fuse box. Please let me know if u want clear pics of a particular place. Just a silly question. Will it light up when I unlock the car? The 5-P Lt Grn connector harness is behind the upper right corner of the fuse box. Your photos don't show it. You may have to loosen the 2 mounting bolts for the fuse box to access the connector from the back, once you find it. As long as you have a power source that is always hot going the LEDs, when any door is open to provide the ground source from the MICU, it will turn on with the door open. Last edited by redbull-1; 12-08-2014 at 04:03 PM. I will let u know the results. Hi Redbull. Today i tried to connect as per ur instructions but it looks like i m doing something wrong. I couldnt find a green/red wire on the lt green connector, instead it was on a white connector (top right side). So I connected a multimeter from a hot point to the green/red wire on white connector. The reading was always high, doesnt matter the state of the dome lights. Also, when I tried to connect a bulb between the hot point to the green/red wire, i could hear a relay getting active but the bulb didnt glow. I took some pics. Please help to find the correct wire. Note: Pic 3889.jpg is inverted. The 5-P Lt. Grn connector is plugged into the back of the fuse box. 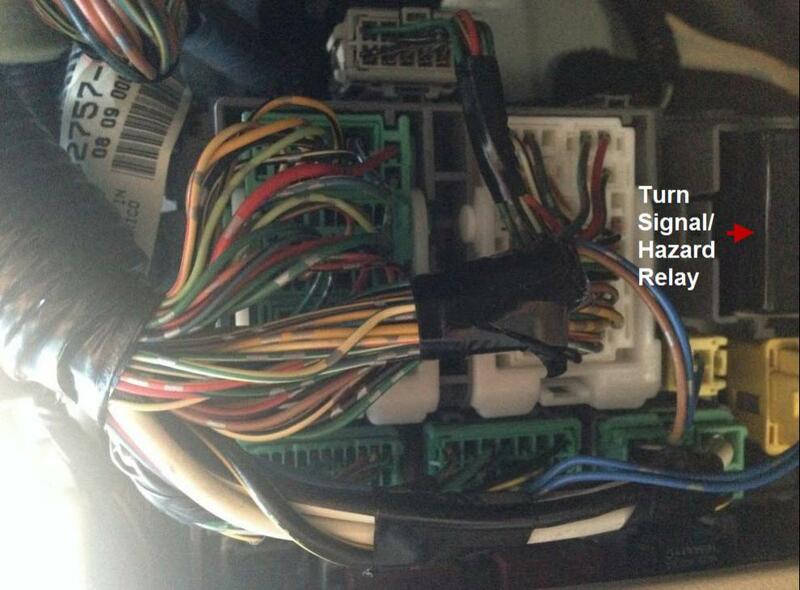 It is attached behind the fuse box, where the black turn signal/hazard relay is. It is the upper most connector in that corner. 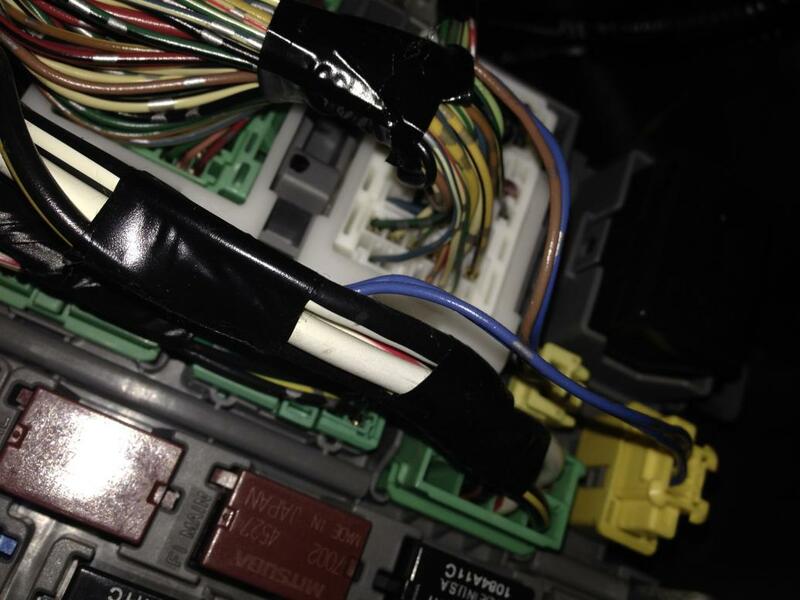 As I previously stated, you may have to loosen the 2 mounting bolts for the fuse box to access the connector from the back. Thanks a lot. I knew I was doing something wrong. I am just a beginner. Can u please tell me where r the mounting bolts located? Is it hard to get access to it? Also, can i tap (i have T taps) the wire from any harness which is easily accessible? The two mounting bolts for the fuse box is shown in this service bulletin. 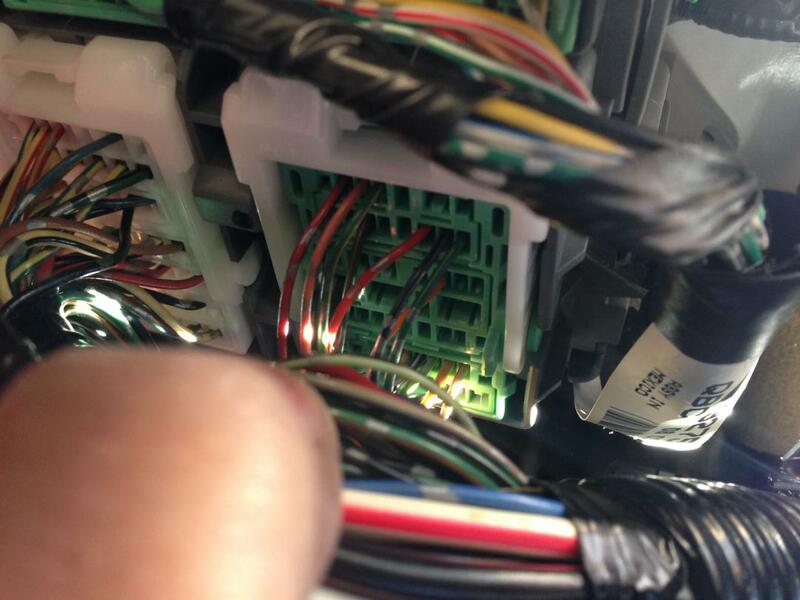 The ground wire for the LEDs should be spliced or tapped into the Grn/Red wire (which is a wire with green colored insulation and a red stripe running through it)at that 5-P Lt. Grn connector. Power for the LEDs can come from any source that is always hot. Last edited by redbull-1; 12-14-2014 at 03:44 PM. Thanks a lot. At last I was able to connect it. I didnt remove the fuse box. I saw the wires going behind the fuse box and tapped the green/red wire. Now it works.